"HEAL THE SICK ... " These words of Christ Jesus encircling the Cross and Crown seal on this book are a sweet promise that we all possess the ability to heal ourselves, our families, our world. 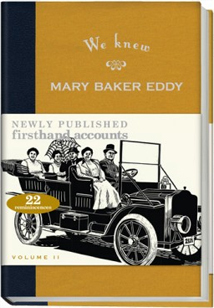 Author, teacher, and healer, Mary Baker Eddy questioned conventional views about science, theology, and medicine, and for years searched the Bible for answers. She writes, “In the year 1866, I discovered the Christ Science or divine laws of Life, Truth, and Love, and named my discovery Christian Science.” From that time forward, she devoted her life to practicing this healing Science of Christianity, teaching others how to heal in the same way, and sharing her profound insights with the world. 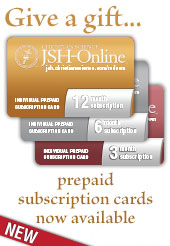 Available from your local Christian Science Reading Room or purchase online. OVER THE CENTURIES, the universal truths about God and humanity contained in the Bible – the courage and spiritual vision of the Old Testament prophets, the inspiring accounts of the words and works of Christ Jesus, and the ministry of the apostles — have brought guidance, understanding, and healing to all who ponder its timeless message. Praised as "the noblest monument in English prose," the King James Version set an English language standard for the Bible from its first printing in 1611 to well into the twentieth century, and it remains a popular and deeply respected version by millions around the globe. Mary Baker Eddy, the Discoverer and Founder of Christian Science, founded her scientific system of healing and ethics on the Scriptures. She wrote: "The Bible has been my only authority" and "my only textbook," "the chart of life" and that which "contains the recipe for all healing." The Holy Bible continues to provide the foundation for understanding humanity’s innate spirituality and goodness, and God’s never-ending healing love. Available with and without thumb-tab indexing. Paperback, thumb-tab indexed, 1568 pages. This book is a wonderful anthology of 45 well-loved articles and poems previously published in the Christian Science Sentinel and The Christian Science Journal. 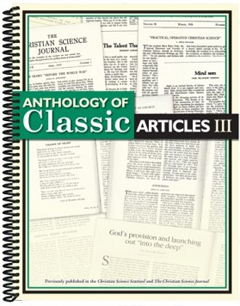 The articles in this compilation are drawn from issues from the first 126 years of The Christian Science Journal and 107 years of the Christian Science Sentinel. These articles have been enthusiastically recommended by a group of Christian Science practitioners and teachers as being particularly helpful in their healing work. 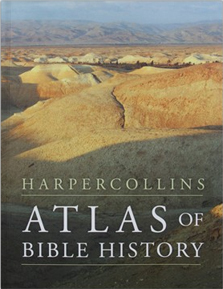 This excellent reference book brings the Bible to life in a geographical context. 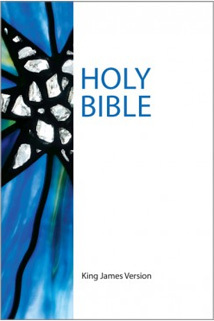 It provides an overview of key events of Bible times from early Palestine to the spread of Christianity. The reader is provided with the information needed to gain an understanding of the historical context for events recorded in the Bible in an accessible, informed, and visually appealing way. The inspiring messages from these hymns bring healing, comfort, and joy. 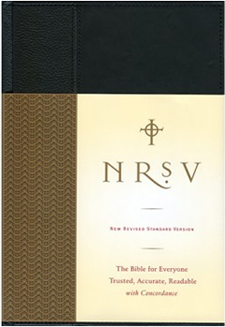 This volume is a helpful resource for First Readers and those who select and read hymns for church services. 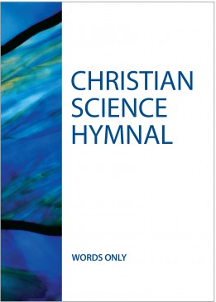 This Hymnal brings together a collection of 174 hymns — contemporary, traditional, and hymns from around the world — congregational songs with which we unite in church services, as well as individual prayer, to worship and praise God. 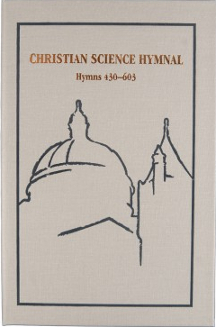 The Christian Science Hymnal: Hymns 430-603 is a hardback book with a soft gray cloth cover featuring a design that illustrates the silhouette of the dome and tower of The Original Mother Church and Extension in charcoal, with the title in metallic copper. 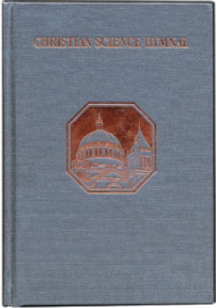 The binding is distinctive, and yet harmonizes with the charcoal brown and metallic copper binding of the Christian Science Hymnal (1932). The new book will be the same width as the 1932, but will be 3/4" taller. 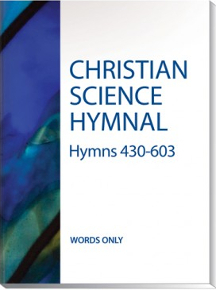 This Words Only Hymnal contains the inspiring religious poetry that comprises the lyrics of all 174 hymns found in the Chrisian Science Hymnal: Hymns 430-603. The Hymnal brings together a collection of poems––both contemporary and traditional — with which we unite in church services, as well as through individual prayer, to worship and praise God. It is a helpful resource for First Readers, those who select and read hymns, as well as for students engaging with the healing messages. 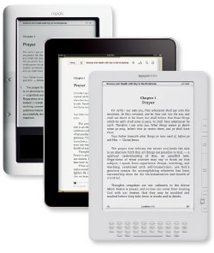 For the readers convenience the book contains both First Line and Author Indexes. Articles and testimonies from the Journal, Sentinel, and Herald, which are the "organs" of the Church, dating back to 1883 (see Church Manual, p. 44). The "Pastor" of the Church, Science and Health with Key to the Scriptures by Mary Baker Eddy and the Bible, through Concord Express (see Church Manual, p. 58). The Bible Lesson "... on which the prosperity of Christian Science largely depends" readable online through eBibleLesson Express* (see Church Manual, p. 31). 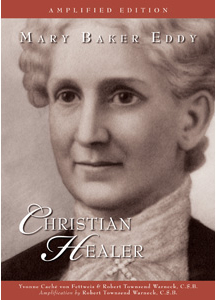 For anyone interested in healing through prayer—as a practical approach to well-being or as a topic of investigation—Mary Baker Eddy: Christian Healer is an incomparable resource. This biography of an influential 19th-century woman follows Mary Baker Eddy from obscurity to her enormous fame as an eminent thinker and religious leader. From her Puritan upbringing, throughout her life of compassion for others and devotion to God, you can watch her development as an insightful student of the Bible and her rediscovery and practice of healing in the name of Christ Jesus. 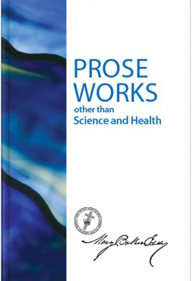 It also tells of her work to support and spread the practice of this Bible-based healing method: writing Science and Health with Key to the Scriptures; founding The Church of Christ, Scientist; teaching metaphysical healing; and founding and publishing magazines and The Christian Science Monitor—all of which continue today. Due to popular demand, a second collection of 42 time-tested articles from the first century of The Christian Science Journal and Christian Science Sentinel. 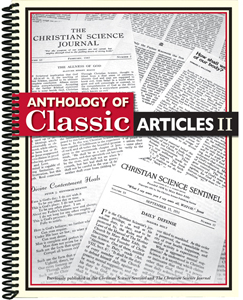 Responding to many requests from readers who love the first edition, we have compiled a second Anthology of Classic Articles—an entirely new collection—from the first hundred years of The Christian Science Journal and the Christian Science Sentinel. 42 more time-tested articles selected by Christian Science teachers who have found these particularly helpful in their healing work. Step by Step is a wonderful support for navigating the complications, joys and questions of life as a teenager. A collection for children of over 80 articles, poems and testimonies of healing. From bee stings to bullies, discover how children found freedom through prayer. My Treasury rejoices in the relationship of prayer and healing to children. Articles focus on learning to know God better, healing physical illness or injury, praying for harmony, and healing oneself and others. Learn about healings of earaches, falls, bee stings, cuts, fever, and homesickness. Discover how kids found freedom from bullies and restored peace at home. Rejoice in the safe recovery of lost animals. Identify with athletes who elevated their activities through prayer. Celebrate the healing power of gratitude and forgiveness. 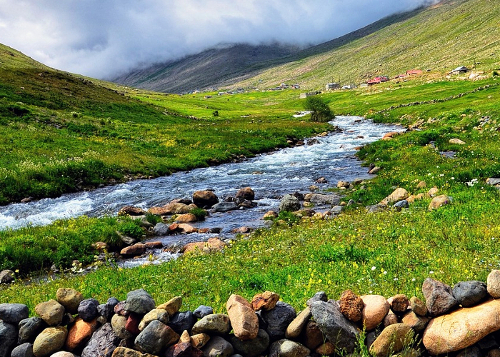 In the midst of their active lives, kids need moments of peace and reflection. The stories in this collection illustrate how children can quiet their thought and commune with God to experience tangible results. Children share how they prayed on their own and gained a better understanding of God. 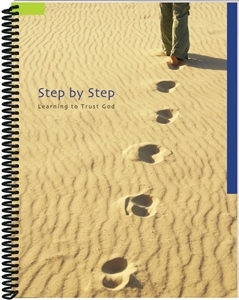 Other pieces include ideas for children about how to listen and be obedient to God's guidance. 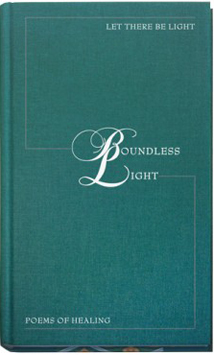 The articles, poems, and testimonies in this collection were originally published in the Christian Science Sentinel or The Christian Science Journal over the past century. 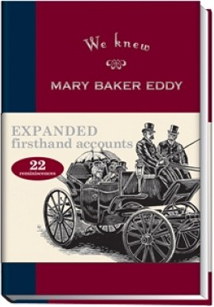 Fully illustrated, this book includes indexes by topic and citations from the Bible and Science and Health with Key to the Scriptures by Mary Baker Eddy, and from her other writings, to encourage children to read the citations directly from the books. 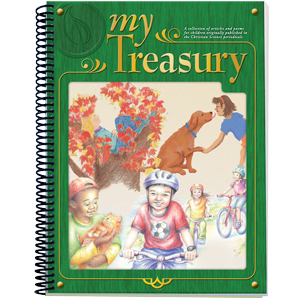 My Treasury also serves as a terrific resource for parents and Sunday School teachers. The stories speak directly to children and give concrete examples of how children use the Bible and Science and Health to experience healing. Paperback, spiral-bound. 200 pages. 8.5" x 11" (22cm x 28cm). 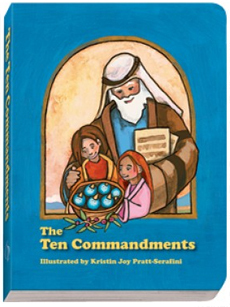 The Ten Commandments, given by God to Moses, are among the fundamental lessons for children and adults alike. These laws address how to love God and live in harmony, and they give authority to those who are obedient to them. The Ten Commandments are the foundation of spiritual education. In Deuteronomy, we read, "And these words, which I command thee this day, shall be in thine heart: And thou shalt teach them diligently unto thy children..." (Deut. 6:6, 7). Mary Baker Eddy says in her book Miscellaneous Writings 1883-1896, "Obedience to these commandments is indispensable to health, happiness, and length of days" (p.67). 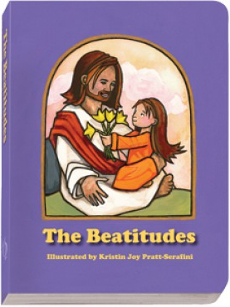 This simple teaching tool, with text from the King James Version of the Bible and illustrated by Kristin Joy Pratt-Serafini, helps parents and Sunday School teachers share with children the meaning of these essential commands and lead readers back to the Bible text. Hardcover. 24 pages. 5.75" x 7.5" (15cm x 19cm). Part of the "Little Ones" series, which includes The Lord's Prayer, The Beatitudes, Psalm 23 and Psalm 139. You may also enjoy the board book Shepherd, Show Me. "I think these books are simply one of the best things put out by the CSPS in years! ... They are simply fabulous. I have given several to young parents who are not Christian Scientists, and they love them!" 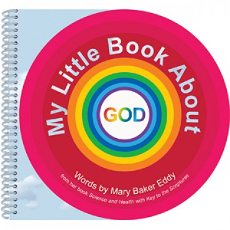 Brightly colored spiral-bound board book, based on Mary Baker Eddy's definition of God from the "Glossary" of Science and Health with Key to the Scriptures. This interactive children's book allows the reader to interchange the colors of the rainbow with the synonyms and attributes of God. 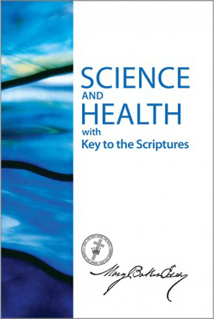 Features additional quotations from Science and Health about the allness of God. Also available in Spanish. Mary Baker Eddy, Discoverer and Founder of Christian Science, especially loved children. She healed them, taught them how to heal and founded the Christian Science Sunday School. Mrs. Eddy wrote many poems in addition to her primary work, Science and Health with Key to the Scriptures. Seven of these poems were set to melodies for the Christian Science Hymnal. 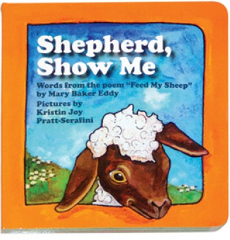 The words of Shepherd, Show Me are from Mary Baker Eddy's poem "Feed My Sheep." This poem is set to a variety of melodies in the Hymnal (#304-309), and is often the first hymn that children learn; the words "Shepherd, show me" are the first three words of the poem. This colorful board book will inspire and delight both children and adults. Each verse of the poem is beautifully illustrated by Kristin Joy Pratt-Serafini. To order products or other publications from the Reading Room, visit the Calgary, Edmonton, or Red Deer Reading Room pages on this web site.